You know the symptoms: a pounding headache, a queasy stomach, and a vague feeling of anxiety. Luckily, education portals like Randstad Education understands all too well what young people are going through; thus, this article is to discuss the misconceptions and bust some of the most common college application myths that keep students from applying for college. Nonsense! 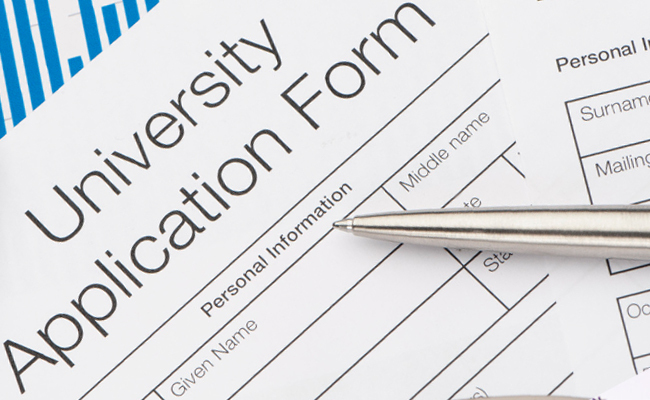 Many colleges offer application waivers and help students with low-income end of the scale overcome financial barriers. While it’s true some of the more prestigious schools, like Cal Arts, aren’t as egalitarian with waivers, most schools embrace the waiver system. Universities often require students to submit a proof of income to be considered. As long as you can provide that, you may be eligible to receive a complete or partial application waiver. This is a big worry among students of schools with large class sizes — they think that teachers only recommend their elite students. However, many teachers recognize that one grade does not determine a student’s academic potential. That’s why building a relationship with your professor can be just as great a way to secure a letter of recommendation as acing every test. One thing to watch out for here is how you request the letter. It may be wise to ask if the letter they provide will be positive. Some professors will agree to write the letter but may not put their best efforts into it. Students who don’t test well, rejoice! Colleges care just as much about your transcripts and your extracurricular activities as your test scores. While test scores are a huge factor in determining a student’s success, students who go out of their way to volunteer for issues they care about are huge assets to any college. Additionally, if you can show that once you’re in the classroom, your performance is much higher than a test score would indicate, you won’t have to worry as much about a low test score or two. Additionally, it’s important to keep in contact with the school! Once you’ve completed your application, continue to follow up with the school. They want to see passion in their applicants, which matters just as much as your test scores. Don’t let myths about college applications hold you back! If you’re concerned about your chances, call the school and chat with a counselor. With enough effort and hard work, you can get accepted into any school you set your sights on.